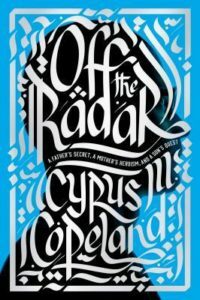 In May of this year, Cyrus Copeland won the Chautauqua Literary Prize for his book, Off the Radar: A Father’s Secret, A Mother’s Heroism and a Son’s Quest. Part memoir, part history, part cultural exploration, Copeland recounts his father’s quiet 1979 imprisonment in Iran in the lee of the American Embassy hostage crisis. An American academic and Westinghouse contractor accused of smuggling and spying, Max Copeland’s life was skillfully saved by his brilliant Iranian wife, the first female “lawyer” in an Islamic court. 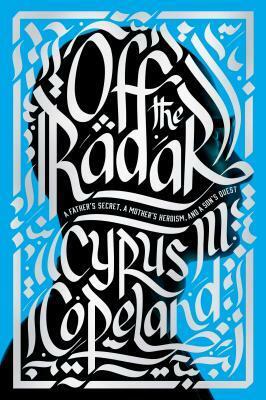 Alternatively told through four sets of eyes – mother Shahin, father Max, contemporary Cyrus and adolescent Cyrus – this unassuming search to understand whether his late father was a CIA agent, and to better know the man whose full persona had eluded him, is gripping and entertaining. And strangely familiar. In partnership with Chautauqua Institution, and in commemoration of the Chautauqua Prize, we held a special Books@Work session to discuss Copeland’s book. 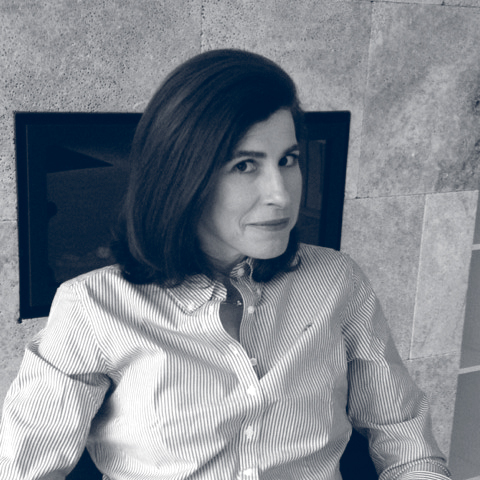 Eighteen strong in the Chautauqua Literary Arts Center, and led by Emily VanDette, Associate Professor of English at SUNY Fredonia, we shared the surprises and the questions occasioned by Copeland’s account. Most of all, we shared a strong sense of familiarity that most – if not all – of us felt in reading a book so specifically about someone else. This very sense of familiarity makes Off the Radar an ideal Books@Work book. For the several participants who are dual citizens, Off the Radar highlighted the confusion of belonging to two countries, of being at home in both and belonging fully to neither. Copeland’s beautifully-described sense of protecting the American Cyrus while in Iran, but fiercely protecting the Iranian Cyrus when in the States (so much so that he intentionally calls himself Iranian and not Persian) resonated with several participants who viscerally connected to that embedded conflict. In contrast to the open hostilities between the governments of Iran and the US, Copeland’s evocative Epilogue describes his personal detente: he shares his most recent trip to Iran and the embracing nature of its citizens to Americans and their culture. For several other participants, Copeland’s story of searching for his father – and ultimately, for himself – was deeply familiar. By recounting his views through his adult and adolescent eyes simultaneously, Copeland depicts the evolution in his relationship with Max with grace, sensitivity and humor. And finding that the father his sister knew may have been a vastly different man than the father he knew was a poignant reminder that no two relationships are alike; it’s nearly impossible to know people unless and until you let yourself see and accept them as they really are. Those with conflicted parental relationships identified with the parent-child conflict so respectfully depicted in Copeland’s narrative. The desire to push against the elements in our parents with which we struggle often gives way to the realization that we have those very attributes ourselves. Coming to terms with, and accepting, the attributes that make us strong helps us to reject the ones we actively seek to avoid. And several participants identified strongly with Cyrus’ lovely depiction of his indomitable mother: a talented woman whose powerful devotion to his father conflicted with her deep patriotism. In this well-crafted eulogy for his late father, Cyrus celebrates his living mother’s strength and character. And for those who connected to the book at a geopolitical level, the shifting sands of a religious regime seeking to eradicate the secular mores of its predecessors raised visceral questions of self-protection: when is a home country no longer home, and how does one know? So many of the challenges that beset the Copelands resulted from staying in Iran when other Western families had fled. Both his parents, Max and Shahin, chose to stay to preserve an Iran they each loved and believed would right itself. This decision, whether to stay or to flee, inspired a thread of conversation that set Off the Radar into a broader historical context, with participants recalling familial connections to other dark moments in global history. In one way, this special Books@Work program departed from the usual: Cyrus Copeland joined us for the last 30 minutes of our two-hour discussion. As I watched him engage with the group, I couldn’t help but marvel at how our conversation had unfolded – from the book to our own lives to our questions about his life and ultimately to his reactions to our questions. He appreciated that we recognized the powerful issues of identity, and the sense of belonging (familial and national) for which he yearned, throughout the book. As he talked about his own journey back to Iran as an adult – accompanied by feelings he poetically called a “cocktail of curiosity and fear” – the group felt a palpable sense of kinship with him, as if we had somehow known him since his adolescence. But by connecting his now familiar story to our own individual journeys, Cyrus Copeland’s very personal story became the window onto our own.